When will I get my order? : Give us two weeks notice before the date you need your cookies. It takes 1 week for production and 1 week for shipping to your location. 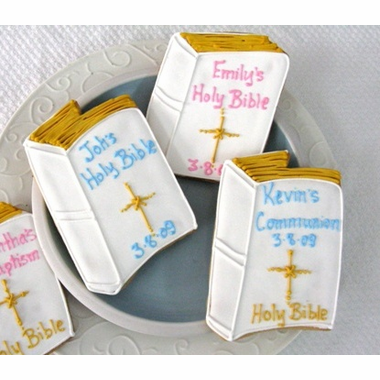 These lovely Communion cookies are in the shape of the Holy Bible. 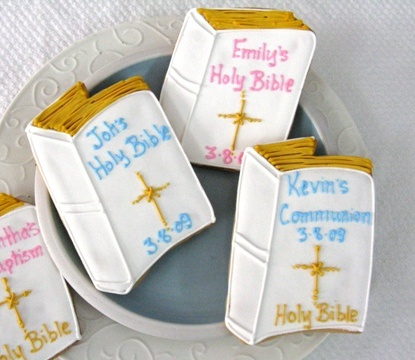 What makes them especially nice is that you can personalize each one with your child's name. 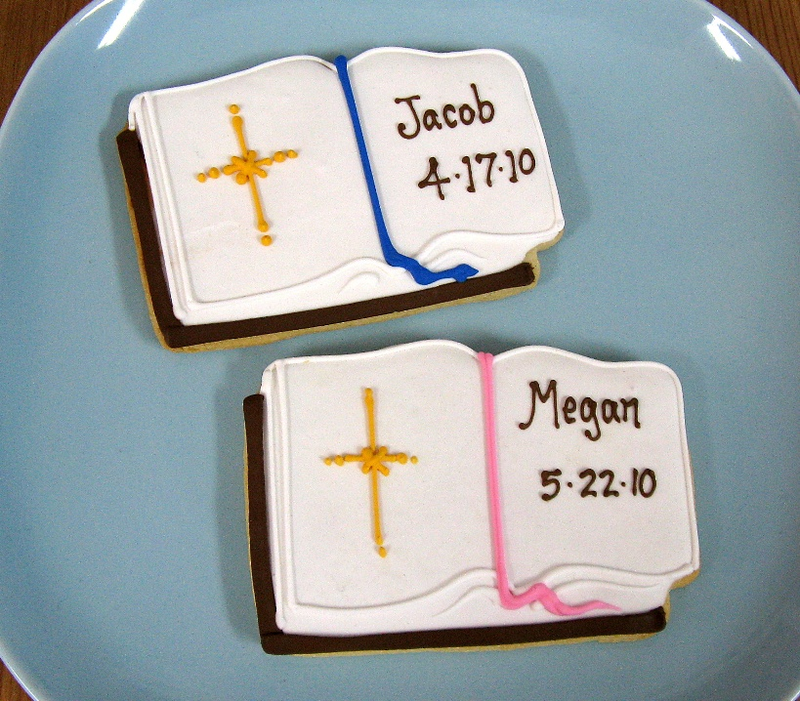 These unique First Communion cookies measure 5 1/2" x 3" and 4 1/4" x 3 1/4". Your cookies are baked to order and will arrive wonderfully fresh. Their shelf life is a week to 10 days after you receive them. We recommend you plan your order so that it arrives 3-5 days before your event. Cookies ship from California.